She learned from her grandfather — a singer and preacher — how to work a crowd. 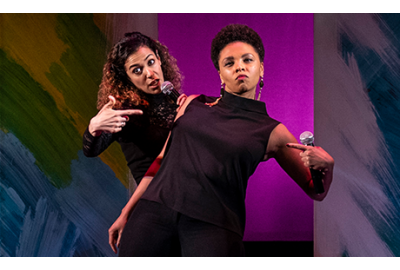 And she learned from Ntozake Shange’s For Colored Girls … that she wanted to live a life in the theatre. 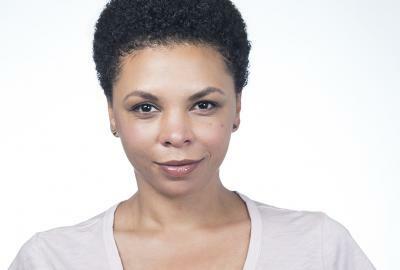 KAZI JONES, who’s in The Second City's She the People (at Woolly Mammoth Theatre Company through Jan. 6), talks awful jobs, bloody onstage injuries and more in this week’s Take Ten. I grew up in the South and my grandfather was a preacher and a quartet singer, so really the first shows I ever saw were at church and they were spectacular. It showed me the power of stage presence and how to work with the energy of an audience. I was an Ikette (Tina Turner’s backup singer) in BEEHIVE, The 60’s Musical in high school. It was my first time seeing all the moving pieces involved in a production (lighting, costume design, etc.) and I was fascinated by how many people and details were involved in getting a show on the stage. For Colored Girls Who Have Considered Suicide When the Rainbow is Enuf by Ntozake Shange. 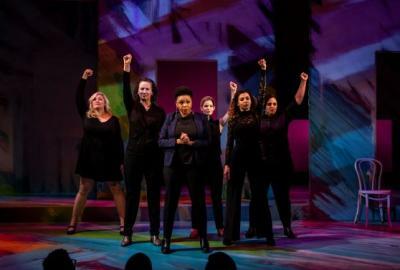 I played the Lady in Purple in high school and even though I didn’t have the life experience to relate to the piece as much as I do now, I knew it was an important, powerful message. It’s special to me because that was when I knew acting was what I wanted to do with my life. Shortly after college I worked at a call center trying to convince people to have techs come out to repair cracks in their windshields. What I learned is that if somebody needs that specific type of repair, they generally seek it out. They definitely do not appreciate your calling to convince them. It wasn’t so much embarrassing as disturbing, but I once broke a glass on stage during a show and cut my hand. I finished the scene wide-eyed with my fist curled and filling with blood. I’m not sure how that played to the audience but I’m pretty sure I was in shock. 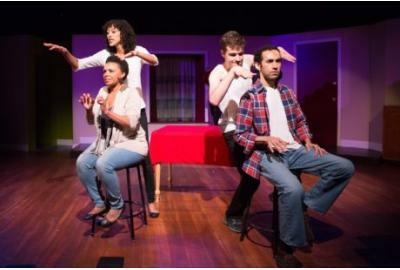 6) What are you enjoying most about working on The Second City's She the People at Woolly Mammoth Theatre Company? I am so thoroughly enjoying working with this amazing group of women including my castmates, the director, stage manager, music director, etc. It’s an incredibly fun show to perform and I’m thrilled to be able to speak our truth through the hilarious characters in each sketch. I’d go out with Oprah because I’d love to talk to her about what she’s learned on her journey as a woman in charge. She’s a powerful person who created her own lane, and I just know she’s got some gems for my toolbox. I would love to play Vera Stark in By the Way, Meet Vera Stark by Lynn Nottage. It’s such a funny and thoughtful play, and I see a lot of myself in Vera. I’d love to see the original production of The Wiz. It had to be amazing to see on stage brand new! To the 8-year-old, I’d say focus on that passion you feel, and it will guide you right to where you need to be. If you ignore it, it still won’t go away so you might as well follow it now. Trust your Aunt Kazi.